Observation - Snail on tree - UK and Ireland. 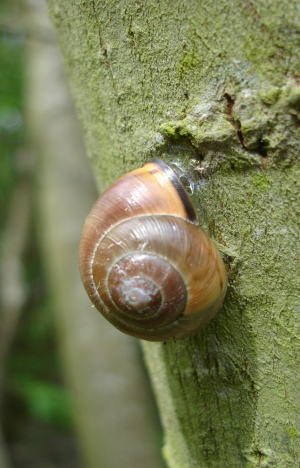 Description: A snail on the trunk of a Goat Willow. A snail on the trunk of a Goat Willow.